Tuesday, April 16th from 5:30pm - 8:00pm! Learn to get time and financial freedom through passive income! The CashFlow game was created by Robert Kiyosaki, author of Rich Dad Poor Dad to train people to think differently about money. It teaches about real estate, the stock market, business and all types of passive income with zero risk. Take the challenge to play Cashflow every month for a year and see what a difference it can make for your financial IQ. Meet people who are on the same path as you and find mentors who have already succeeded at what you want to learn! The N.E.W Cashflow Club is an environment friendly for beginners and advanced players as well. Come and test your skills and see how well you do! Mitch, along with his wife Amber started the N.E.W. (Northeast Wisconsin) Cashflow Club. 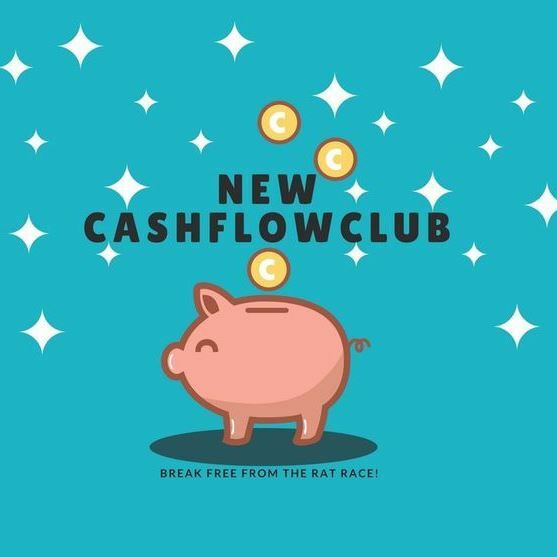 The NEW Cashflow Club seeks to develop a group of like minded individuals who come together monthly to learn how to develop passive income through playing Cashflow, networking and supporting each other. Amber runs their real estate business while Mitch works in finance teaching people how to get out of the rat race. *This event is FREE to attend! Please make sure to Pre-Register!